The Pass The Controller Podcast is a show where a couple of best friends comment on the latest in gaming and nerd culture. In this episode, Brenden and Mike sit down to give their thoughts and predictions on the Kinda Funny Games Showcase and the Video Game Awards. 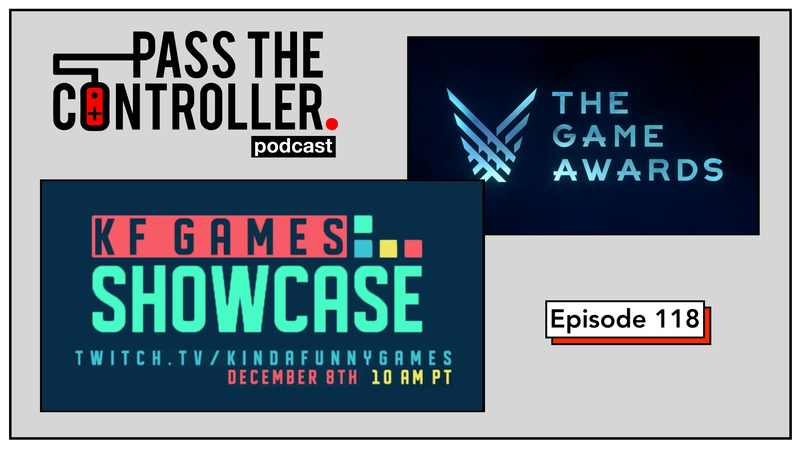 The Kinda Funny Games Showcase airs on Saturday December 8th at 10:00 AM PT. The Game Awards air on Thursday December 6th at 8:30 PM ET. Be sure to SUBSCRIBE and LEAVE A REVIEW on iTunes! Intro & outro music courtesy of the Super Soul Bros. Episode sponsored by Goodnight Fatty & Beardbrand.